1. The eye relief, or distance from the eye to rear aperture, should be approximately 2-6 inches, depending on the position (Figure 16). See Chapter III, The Integrated Act of Firing - The Eye and Sight System. 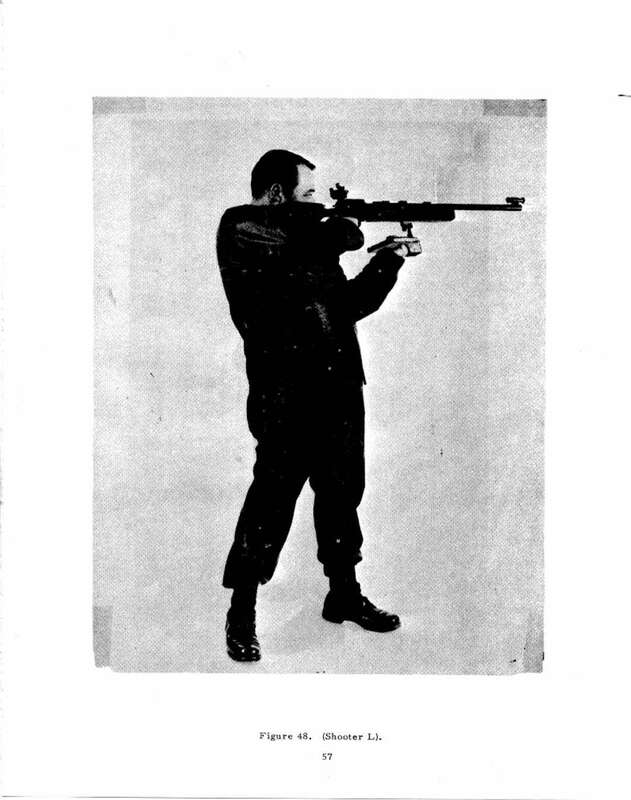 How many rifle enthusiasts shoot the standing position with their head thrust forward in exaggerated manner that results in their eyebrow resting right up against the rear sight? TOO MANY? 2. Placing the sight against any part of the facc or the shooting glasses will very possibly result in wear to the delicate sight assembly, or injury to the shooter from recoil (especially with a large caliber rifle). When the rifle is fired, a shooter can unconsciously develop a flinch as the sights repeatedly hit against the eye aroa, This can definitely produce a poor shooting position.